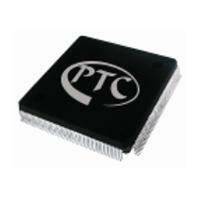 PT6963 is an LED Controller driven on a 1/5 to 1/8 duty factor. 11 segment output lines, 4 grid output lines, 3 segment/grid output lines, one display memory, control circuit, key scan circuit are all incorporated into a single chip to build a highly reliable peripheral device for a single chip microcomputer. Serial data is fed to PT6963 via a four-line serial interface. Housed in a 32-pin SOP, PT6963 pin assignments and application circuit are optimized for easy PCB Layout and cost saving advantages. Serial Interface for Clock, Data Input, Data Output, Strobe Pins and low voltage operation ability when user’s MCU power supply is 3.3V.